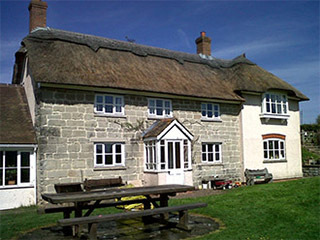 Somerset Master Thatcher, Simon Willey is an experienced thatcher based in Wellington with over 30 years experience, providing high quality craftsmanship. As a member of the National Society of Master Thatchers, Simon is well established and offers a reputable service. Need a whole roof repair? 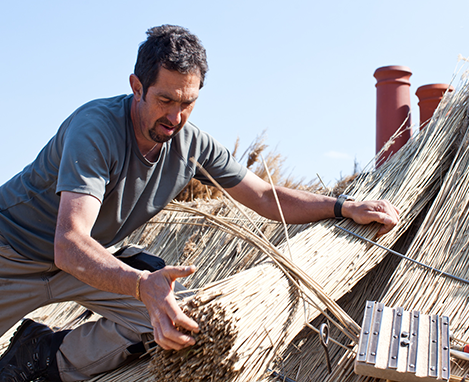 I can offer you a full roof rethatch. Have a new build home? 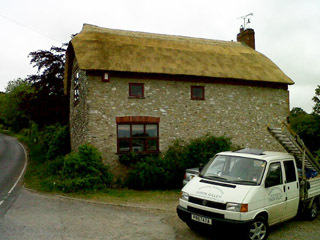 I can provide new thatching for homes and barns. 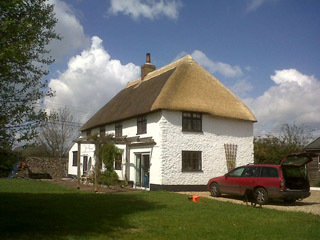 "I am delighted with my new thatch. I watched the process from start to finish and was facinated by Simon's use of traditional techniques to produce a true work of art. Complete strangers have stopped at my house to comment on it and to ask where they can get an owl like mine!"